You know, sometimes I really wish I was making up some of the material I write about on NextGen Player. Take for example the story about the Wii Remote Candy dispenser, after shooting a couple of candies into my mouth I honestly feel like I lost 5 IQ points that day. And then there is this. A direct mail piece I received a few days ago. 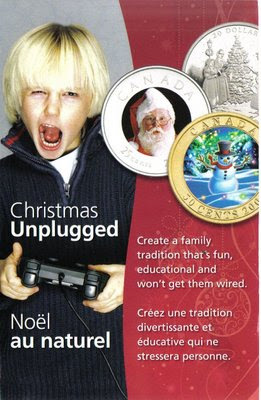 At first I thought it was a retail flyer encouraging me to buy a PS2. But then I started to read the content and realized this was something much different. I'm really at a loss for words here - I'll let you guys and gals decide for yourselves.